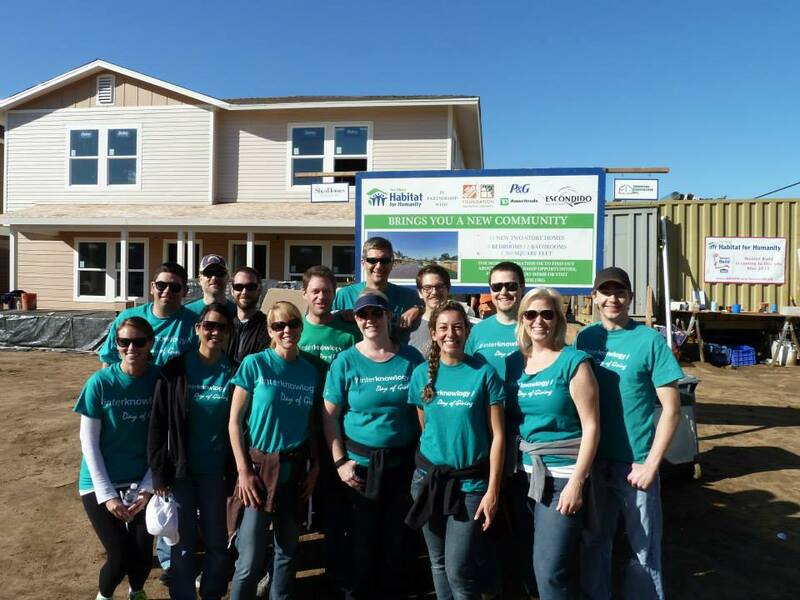 InterKnowlogy colleagues volunteered with Habitat for Humanity as part of the company’s Day of Giving event. InterKnowlogy is known for its incredible company culture and community spirit, with employees who are as passionate about creating innovative technology as they are about the place they live. Volunteers pitched in to work on a job site in Escondido, where future family homes were in different phases of construction. Over half the company’s employees participated in the event and spent the day installing roofing, hanging drywall and painting. The sense of teamwork was magnified when the employees joined together to make an impact in the community, creating awareness about the need to improve living conditions for low-income families. A Day of Giving is organized each quarter by committee and gives employees the opportunity to find volunteer opportunities that can be done as a group. Seeing the great attitudes and desire to help improve the lives of those less fortunate than ourselves is truly rewarding.